You can feel they played with different types of casks but it works for me. I like this kind of profile. Reminds me of a few iterations of Micro-Provenance wine finish Laddies (port, sherry, amarone). Red fruits, dried fruits, spices, roasted nuts and farmy notes. Creamy. Caramel, berries, raisins, spices, coffee, dark chocolate and a bit of oak. Feis Ile stands for speciality and rarity. 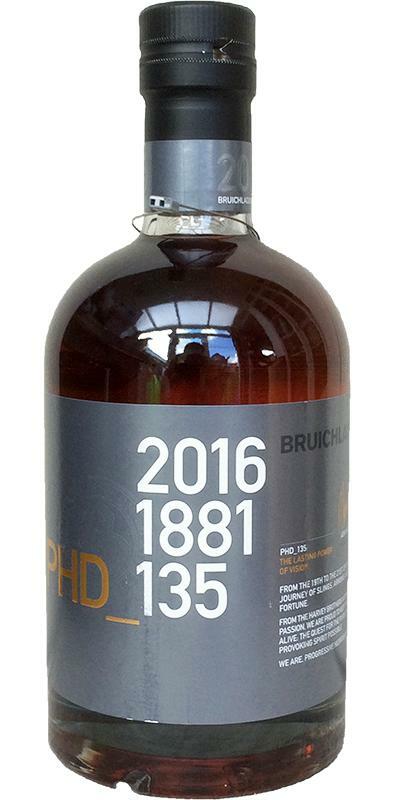 This Bruichladdich is special and has its own character so I would say it is a nice and well done Feis Ile Bottling. Sláinte! 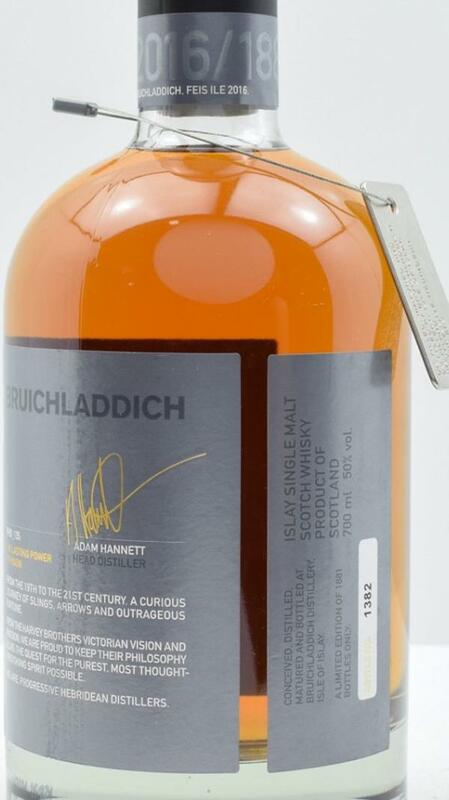 Bruichladdich smoke and salt with a decent wine note in the back. Nice balance, no water needed! the wine character is now more intense and brings some sweetness from berries & honey in front. 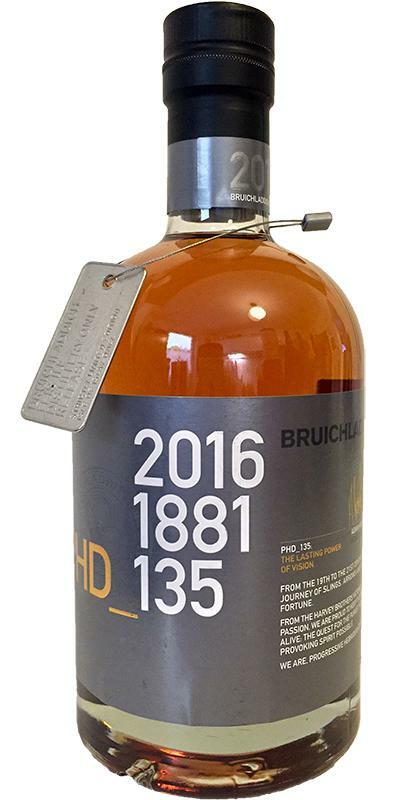 The Bruichladdich smoke surrounds the taste nicely! Still definitely no water needed. The dram has a very nice balance how it is! Also the finish is nice.. maybe a bit unspectacular and the youth is giving some metallic bitterness but I still like it. 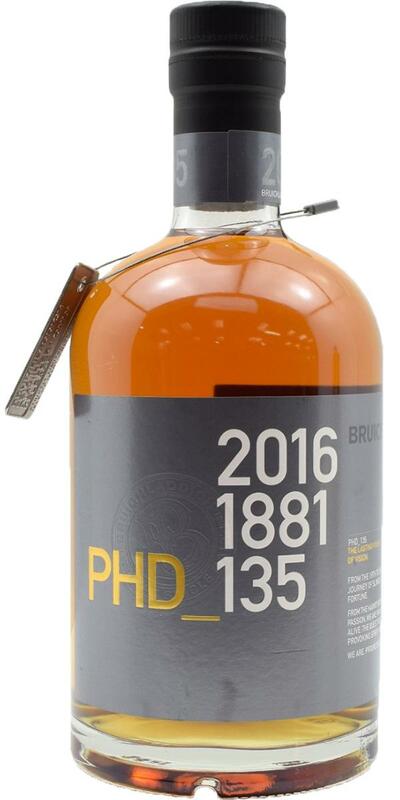 [June, 2016] I had this dram during a "Feis Ile 2016" tasting at Bonn. In my old rating system (ten scales that translate into WB points: 50 - 66 - 75 - 80 - 82,5 - 85 - 87,5 - 90 - 92,5 - 95) I scored it 82,5. My notes state a bitter finish. Exciting, I like better from sip to sip.